North Star's very own CIT Adam Cloch scored the first goal of the Illinois State Championship hockey game, and helped lead the team to a second straight title! The game ended in overtime with Deerfield emerging victorious over Wheaton Warrenville South. Congratulations to Adam and his team on the big win. Stefan Granados returns to camp for summer number nine. A resident of Duluth, MN, he’s a sophomore at Marshall School. There he’s involved in a variety of things. He’s on the school’s tennis and soccer teams. He’s also on the school yearbook and all of the school’s drama productions. Stefan has had big roles in the last few NSC musicals, so this is no surprise. He has a side hobby of performing magic shows for friends and family, which will definitely come in handy this summer. 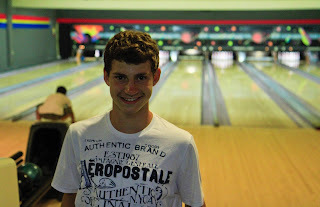 Stefan will be a CIT this summer and amongst his activities at camp are canoeing and windsurfing. Sports team(s) that you root for: I don't watch sports often, but if a Minnesota team is in the playoffs or something, I'll definitely root for them. 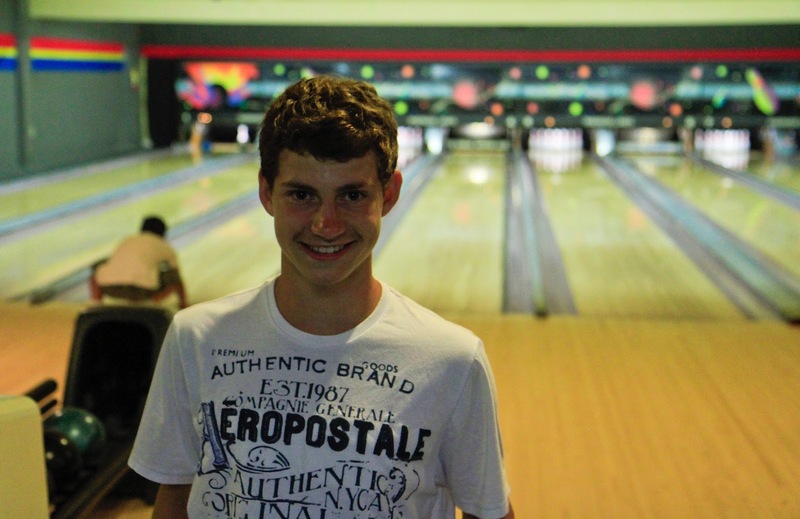 Andrew Rachlin is a sophomore at Francis W. Parker High School in Chicago, IL. Andrew is a pretty busy guy. He is on a club rock climbing team, which he does three days a week. He’s also involved in a weekly model UN Symposia at his high school. He’s also on his school’s golf and tennis teams. Another one of our 2012 Counselors in Training, this will be his 7th summer at camp. He’ll instruct climbing and riflery, amongst other things. Best place you've ever traveled to: Barcelona, Spain. Sports team(s) that you root for: From (my trip to Barcelona) FCB (football club barcelona) is one of my favorite teams. Favorite camp meal: by far tin foil surprise on cruiser days. Favorite spot at camp: the hammocks over looking the lake in the villa. Favorite all camp/special program to do at camp: camper counselor hunt, and vice versa. Earliest camp memory: having burgers my first year, on the first night of camp, and them tasting so good. If you had a super hero power, what would it be: the power of flight, because flying is just so cool. Best Hanukkah present that you've ever gotten: a go pro, sports camera. Preferred chicken nugget dip: by far ketchup. You just can't beat ketchup. Holden Greenberg hails from Larchmont, NY. He’s a Sophomore at Mamaroneck High School. He is getting ready to perform Merry Wives of Windsor in March. Holden’s sport of choice is Ultimate Frisbee, where he’s on his school’s team. A counselor in Training, this will be summer number eight for Holden and he’ll be instructing tennis and volleyball, amongst other activities. Earliest camp memory or notable camp memory: Pop Wanagan! Adam Cloch returns for summer 7. Hailing from Riverwoods, IL, he is a sophomore at Deerfield High School. He plays Varsity hockey for Deerfield right now and will be playing lacrosse in the spring. He’s also involved student council. Adam also serves as a Facebook consultant for his North Star peers who need to learn how to use the social media platform. We're excited to have Adam join our staff as one of our Counselors in Training! At camp Adam will be teaching sailing and windsurfing as well as some hockey and lacrosse. Well, he is from Wisconsin, so he's a bowler! Ethan Levy is another of our guys from the Milwaukee area. Hailing from Mequon, WI, he is a sophomore at Homestead High School. At Homestead he is on the school’s junior varsity hockey team. He also plays club volleyball. Ethan is looking forward to taking his driving test within the next few months and hopefully passing (his words, not the editor’s). This will be his 8th summer at North Star, where he’ll be instructing several athletic activities.We're glad to have Ethan on board as one of our Counselors in Training! Sports teams that you root for: The Chicago Bears and Blackhawks. I also like the Buffalo Sabers. Benji Pfeffer returns to camp from Deerfield, IL. He is a sophomore at DHS and is on the school junior varsity swim team. He’s from a very large family and they visit each other quite regularly. He’s also an avid reader, and when he has some downtime, he can be found enjoying a good book. One of our Counselors in Training, Benji loves sports, particularly outdoor sports and he’s looking forward to instructing athletics and swimming this summer. There's nothing to see here, folks! 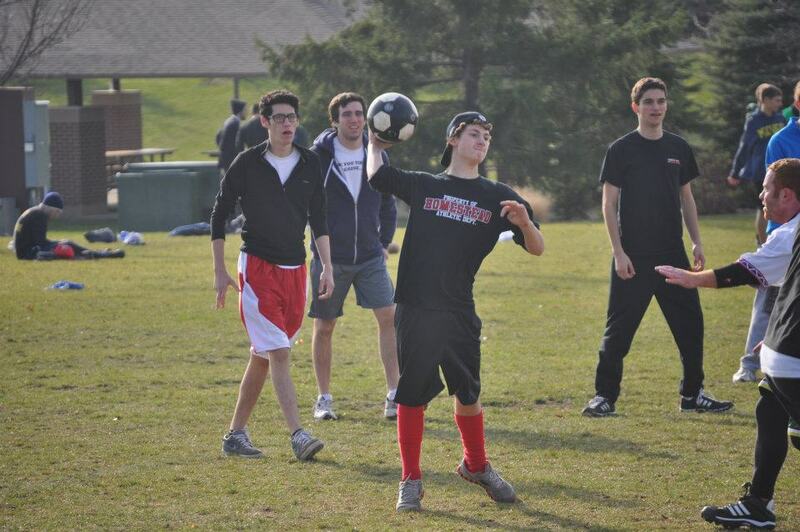 Ben Weil hails from Denver, CO and is a sophomore at the Denver School of the Arts. Ben is active in both theater and athletics. He’s a big basketball fan, particularly of the Denver Nuggets. Ben was involved in his school’s dance show and was given a tremendous amount of responsibility when he was tasked with calling the lights for the show. We welcome Ben back as one of our Counselors in Training. He is returning for summer number seven, Ben will be instructing arts & crafts as well as basketball. 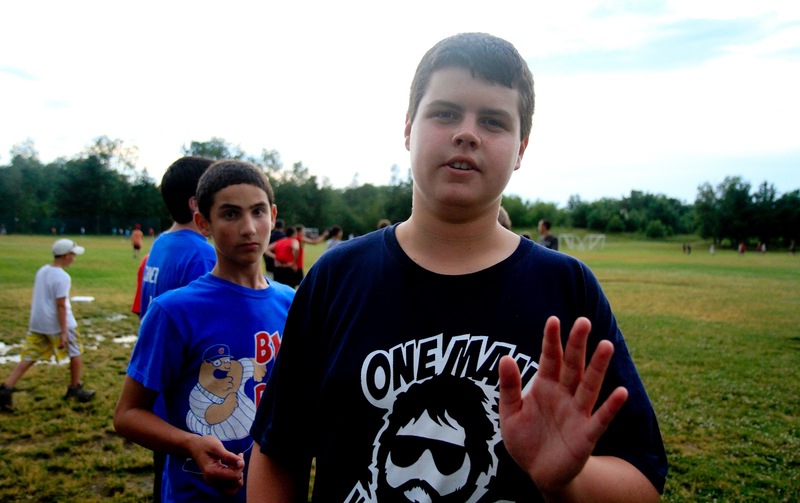 Ben and his brother Ari are one of two sets of twins amongst our CITs this year, along with Parker and Philip Rasansky. Favorite all camp/special program to do at camp: I love the play but I also really like Glen's Game. I tried SO hard my first year to get the climbing wall stamp and i finally got it and i was so proud of myself. Glen's game is super fun. Earliest camp memory: Hmmmm that's a hard one. I would say being shown the basketball courts my first day as a camper by a counselor and just staring in awe of how many hoops there were. If you had a super hero power, what would it be: Easy, Super Strength. I would say i would be superman but superman is every super power so that would be cheating the question. Best Hanukkah present that you've ever gotten: Maybe a skate board because at the time i thought i was going to go off and learn how to skate board but in the end i never did. Now there is just a skateboard laying around the house. Getting a playstation 2 was pretty awesome. Ari Weil leads off another set of twins on our staff. He’s a resident of Denver, CO and is a sophomore at the Denver School of Science and Technology. There he is a Spanish Peer tutor, is involved in school's gay-straight alliance and Student Council and plays ultimate Frisbee. He is also involved in the Tuskegee Airmen's Mile High Flight Program and plays piano. At his synagogue he helps lead services with his father and examines Jewish texts in a teen ethics seminar. As a Counselor in Training, this will be Ari’s 7th summer at North Star and he’ll be instructing ultimate and waterskiing. Steven Rasansky also hails from Dallas, TX, but unlike his cousins Parker and Philip, Steven is a sophomore at Shelton School. He is playing for his schools tennis team. He went to Cabo San Lucas for winter break and will be going to Destin Florida for spring break. An avid Dallas Cowboys fan and friend of the grandson of the team owner, he was able to go to every home Cowboys game and flew on Jerry Jones' private jet to a Cowboys away game. Another of our Counselors in Training, this will be Steven’s 7th summer and he’s going to be instructing disc golf, football and wakeboarding. Notable camp memory: When my cabin went on one of the camping trips and we had an interesting experience with the dobsonfly (a huge bug).